Bradford Council is teaming up with the Local Government Association and NHS Digital to pioneer an opportunity in Adult Social Care that utilises artificial intelligence (AI). The trio are currently developing a proof of concept for a Digital Navigation Tool, ‘powered’ by AI technologies that is intended to take the pressure off front line Access Services. 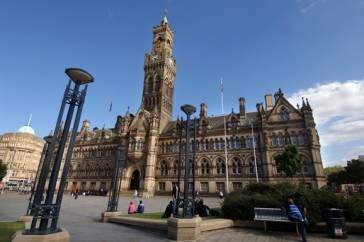 Having received initial short-term external funding, the council sought a technology partner to deliver project eventually picking Rescon Technologies to work closely with Bradford Council’s Home First Team. Bradford argues that although AI has transformed retail and service industries there is little regular use of artificial intelligence in front access of Social Care. Whilst it is recognised adult social care services will always need personal contact, the aim of the Digital Navigation Tool is to enhance the delivery of best practice human centred services, not to detract from or replace them, the council said. The project is building the first stage of a proof of concept artificial intelligence based solution. This will allow first contact with Bradford Council to be dealt with in a way that is consistent, inclusive and can be done anytime from anywhere. Since starting in late August the team have run the first workshop which included input from service users, access centre staff, commissioners and Rescon Technologies. Together they designed service requirements focused around the things that matter to everyone in the team that included watching football, dental care, religion, family and money. Bradford described the workshop as a success and said it has given Rescon the blueprint to work with the Bradford Council team to create early prototype technologies. Together the team, with service users at the core, expects to deliver the first stage of a Digital Navigation Tool that it is hoping will transform the delivery of adult social care services, not only in Bradford but also across the country.